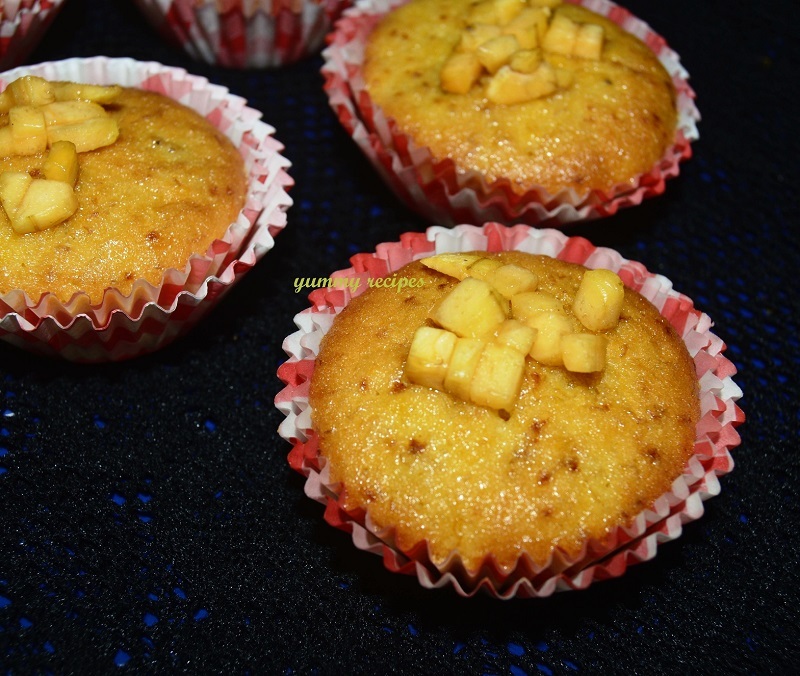 This is a very tasty moist and delicious cake recipe. Bananas are extremely healthy and delicious. They contain several essential nutrients, and have benefits for digestion, heart health and weight loss. 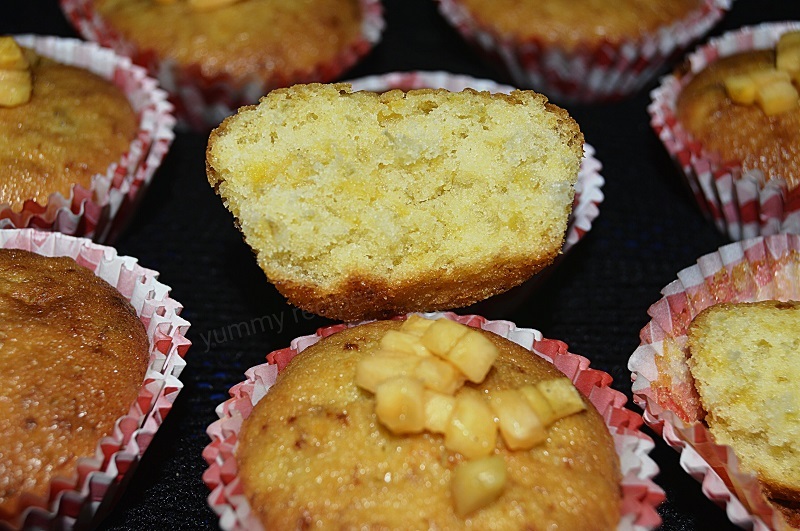 We can make banana muffins in different steps; this is the simple way to make banana muffins. I have this recipe from my friend. She told me that it’s have an amazing taste. Yes, it’s absolutely correct. You just try and send your feed backs in comment box. The method of preparation is bellow with detailed image. 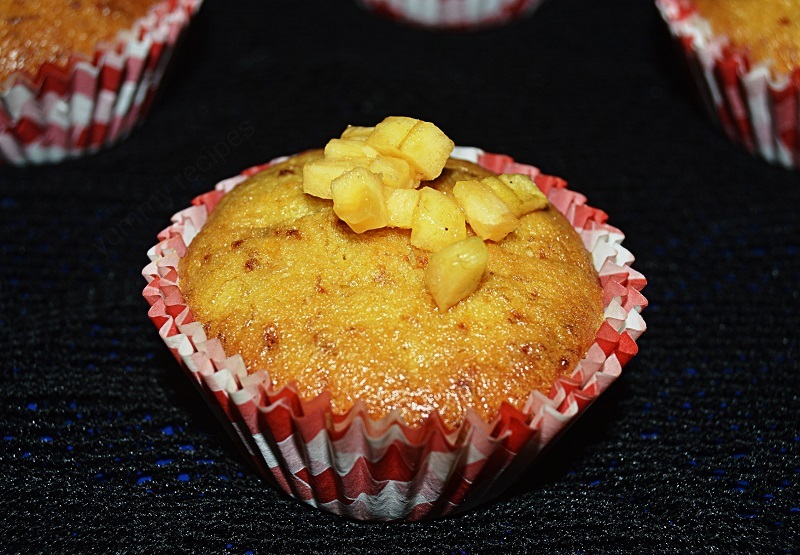 I hope all are enjoy my recipe with yummy recipes. Sieve all purpose flour baking powder and salt. Add 50gms butter and powdered sugar in a bowl, beat it well using a whisk or hand blender. Then add 2 eggs and beat it well. Then add mashed banana and mix well. 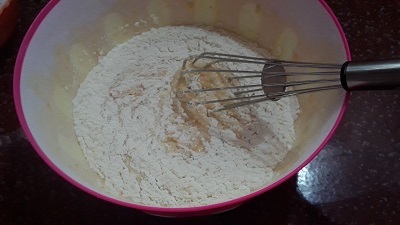 Add all purpose flour, baking powder and salt mixture; beat till all are well combined. Then add 1 table spoon honey, whisk for 1 minute. 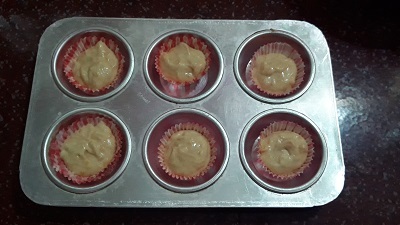 Then take a muffins tray and set papper cups in the tray. Pour the batter two- thirds full. Bake in the preheated oven for 25 minutes in 200 degree, until cooked. 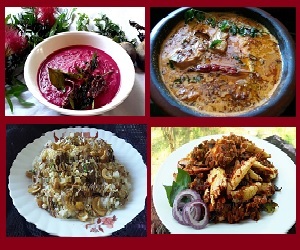 Thank you all, please enjoy cooking with yummy recipes.